When she exposes her stomach does she want you to rub it? Which signals mean ‘stay away’? A cat’s pupil will dilate when they are scared or surprised. 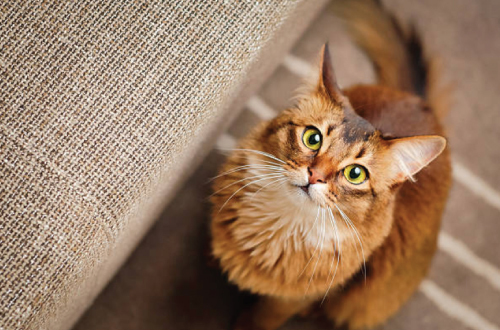 A Vet knows that seeing dish-like pupils in a bright examination room means to beware. 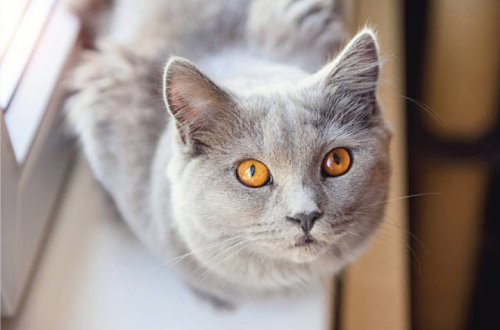 A constricted pupil could also mean your cat is feeling aggressive or tense. Like a human’s, a cat’s pupil will react to light by dilating in darkness and constricting in well-lit areas, so it is important to take this in to consideration when reading your cat. 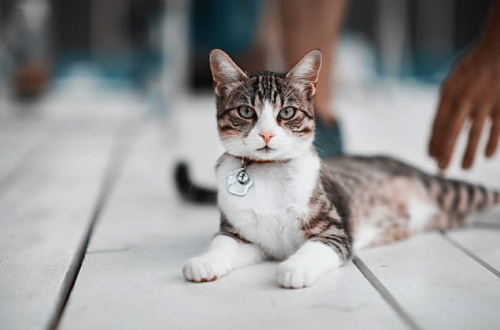 Your cat holding eye contact could be communicating a challenge, whereas slow blinking, having her eyes half closed, or sleeping is a sign that your cat trusts you. In a social setting, cats will often look at someone who is not paying them any attention. A cat will often use their tail to communicate a message. A happy or confident cat will have their tail pointed straight up, whereas a tail pointed down could mean that they are feeling threatened or scared. A wagging or thumping tail does not indicate the same feeling in a cat as a dog. 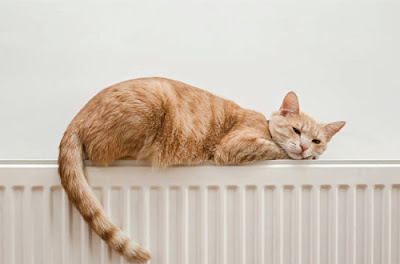 If your cat’s tail is moving rapidly, it indicates they could be feeling agitated. On the other hand, a slow moving tail is a sign that your cat is trying to make up their mind about something. When your cat is fluffing up their tail, they are most likely feeling threatened or in danger and is trying to make theme self look as big as possible. A cat with a fluffed tail is best left alone until they calm down. Ears turned forward suggests that your cat is in a happy and playful mood, whereas if they are turned back they are likely to be feeling anxious or nervous. If their ears are flat against their head, they are feeling aggressive and possibly ready for a fight. If their ears are standing straight up tall, your cat is alert and at attention. This will often happen when they hear an unfamiliar sound. A cat spread out on their back could be an invitation for you to rub their belly, however use caution when approaching them. 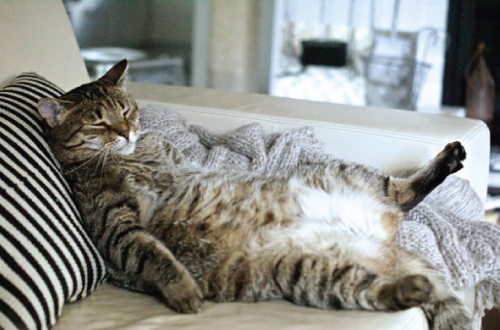 A cat will also assume this position when they are feeling defensive, and may be accompanied by extended claws. If they begin to attack your hand as you approach them, the best thing to do is to freeze. A cat is hard-wired to pounce on moving objects, and keeping still for a moment before retreating is the best thing to do. It is important to keep in mind that these are only guidelines, and may differ from cat to cat. Nobody will know your cat as well as you. Is your dog being territorial? Getting aggressive around other people/pets? Find out why this may be and how to stop it.